Some may say that is quite pricey for a high street mascara, and yeah I guess I’d agree, but it is so worth it. I know I am going to continue to purchase this time and time again because it just works wonders. The super soft brush glides over your lashes with so much ease you hardly need to do 2 or more strokes! The product applies on to your lashes so easily and instantly looks longer and thicker! As you can see from the photo, the product is pretty much all gone because I have been religiously using it every day before I apply my foundation. This is great to use as a primer and allows your foundation to go on so nice! Again, I have linked the product above, and you can pick this up at a discounted price of £19.95. 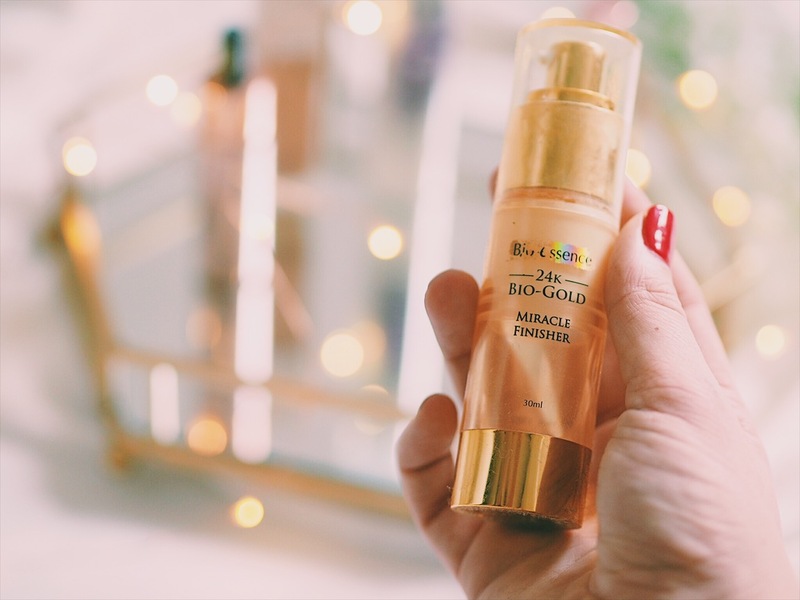 I have written a full review of this which you can find here but I really wanted to include this in my 2017 beauty faves round ups because it is rare I go back to a product time and time again and I have been really liking this one! 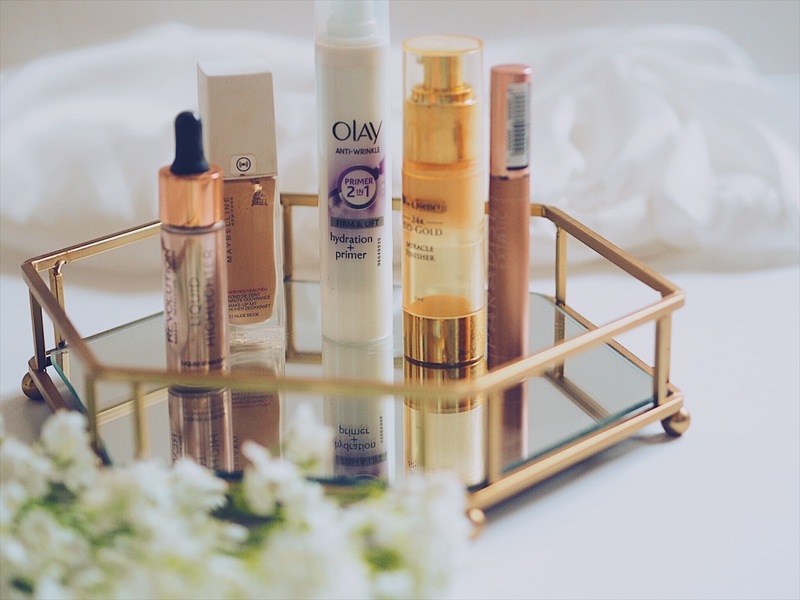 Keeping on the subject of primer based products, I want to also talk to you about the Olay Anti Wrinkle Firm And Lift Moisturiser And Primer 50Ml. I actually got given this by someone (my friends mum’s friend) who has a connection with Olay, and to be honest, this is probably the first product I’ve tried from Olay before, but I am so impressed! This is an anti wrinkle primer and hydrater and I have started to use this after I moisturise my face, and it feels incredible and smells very refreshing too. I have linked above, but you can pick this up for £10 which I think is a really reasonable price. It does make my face feel very smooth and also hydrates my skin throughout the day – which is very much needed in the winter (Can we have summer now please). You can pick this up on Feelunique for half price so go go go! I’ve linked it above. I just really like this foundation, its such a great long lasting foundation for high street price, and gives you that full coverage you’re looking for (well I am anyway). It applies really easily, and as I say, lasts all day – does exactly as it says on the tin (yippee). Last but not least, I have been loving the glow I get from using the Makeup Revolution Liquid Highlighter. I remember reading some posts and watching tutorials of people comparing this product to the Iconic highlighting drops, and everyone said how good these were. For a fraction of the price, I just had to try and I’m so glad I did. I love applying this on the top of my cheekbones and then apply a powder highlight over the top to create that perfect glow! These are currently £6.00, and you can pick them up in a range of colours, ranging from champagne colour to a more pinky glow! So…. there we have a few of my fave products from 2017. I guess, I know if they’re a favourite of mine when I reach for them on a daily basis and I have done with all of these, so I’d recommend checking them out! I love this so much!! The pictures are simply beautiful! I just posted my favorite beauty products of 2017! I’d love if you would check it out! I love the photos in the post! 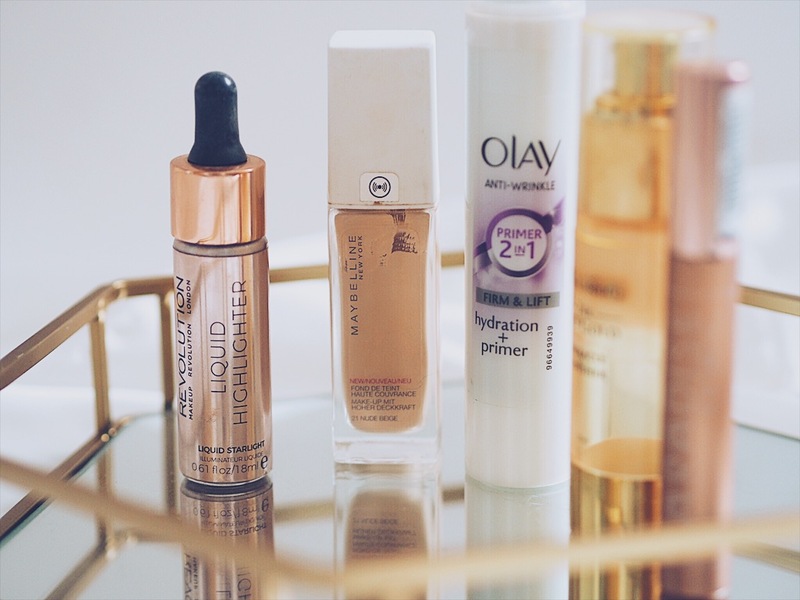 I definitely want to try the Maybelline foundation and the Makeup Revolution liquid highlighter.